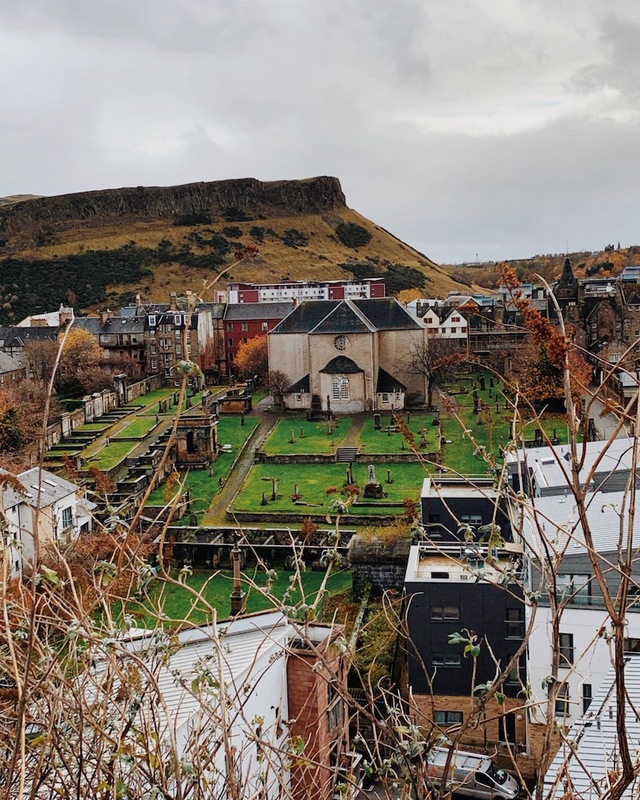 After my first trip to Edinburgh in the spring, I knew I had to return. 48 hours was just not enough, so I planned for a second trip in the fall, this time for six whole days. 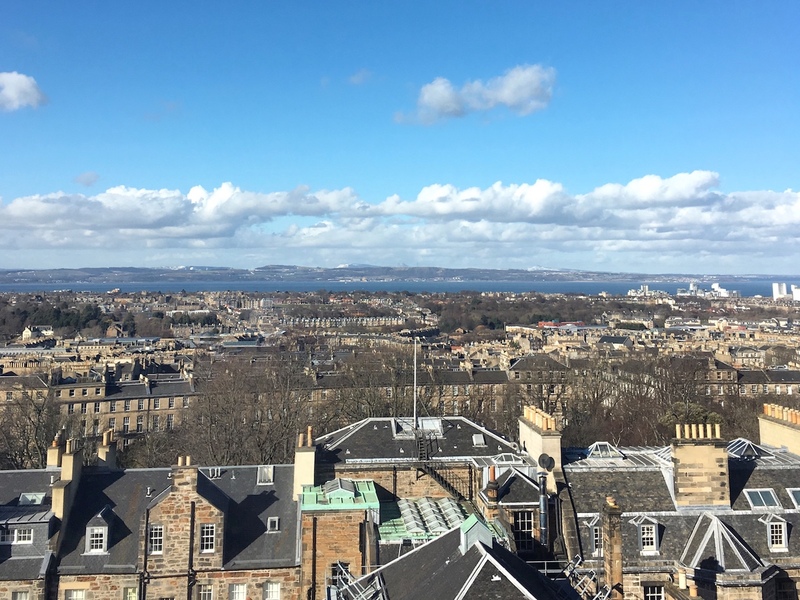 Here’s what I did during the six days, and hopefully there’s one or two things you’d like to do on your next visit to Edinburgh. Most flights from NYC over to Edinburgh leave at night and arrive in the morning. It’s really ideal. And my direct flight was just under six hours… that’s almost the same as flying over to the other side of the country to LA! I touched down at around 9:15 am, took an Uber to the city center to my hotel and arrived by 10 am on a Friday morning. 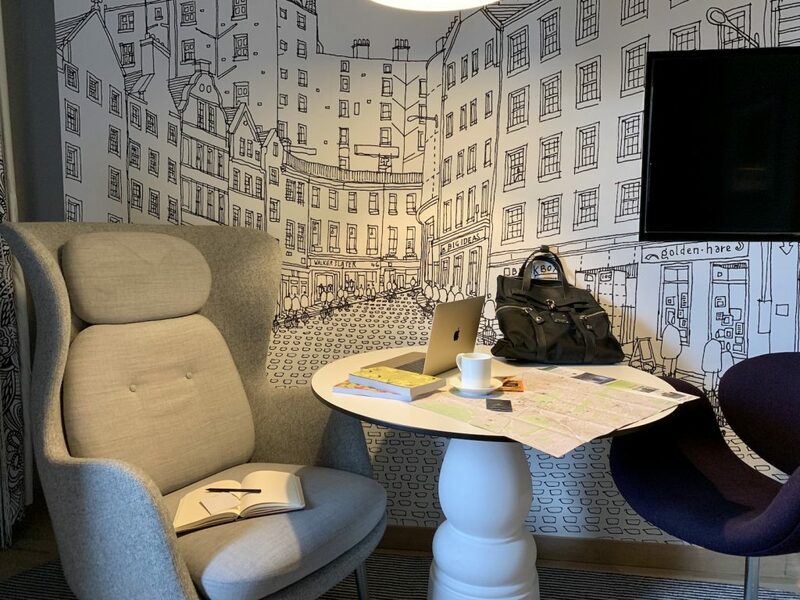 I chose to stay at the Radisson Collection Royal Mile. I was prepared to leave my bags at the front desk, since rooms typically aren’t available in the mornings. The best part about the hotel is its location. 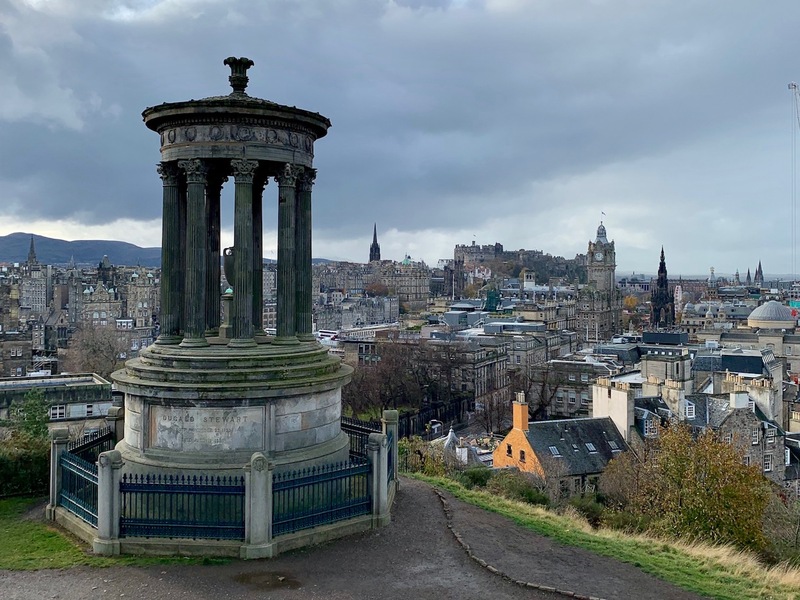 It’s really close to many of Edinburgh’s main attractions. So I left my suitcase and started walking. I find walking is the best way to beat jet lag. 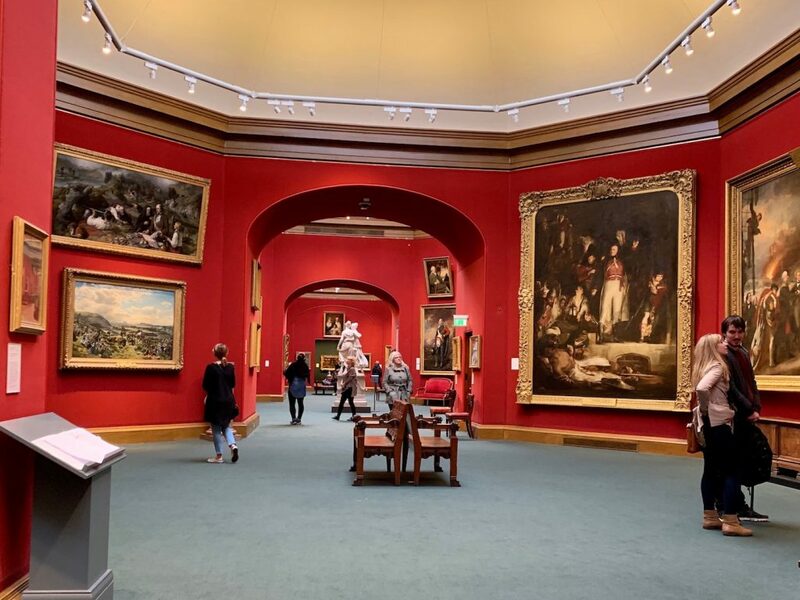 My first stop was to the Scottish National Gallery. Truthfully I don’t remember what I saw… it was around 5 am back home and I didn’t get any sleep on the plane. Afterwards, I walked to Urban Angel cafe for brunch, which I found through Instagram. Turns out this was a very popular restaurant on a Friday afternoon. I got a seat right before the lunchtime crowd arrived. Try their smoothies. I had a breakfast smoothie to re energize. 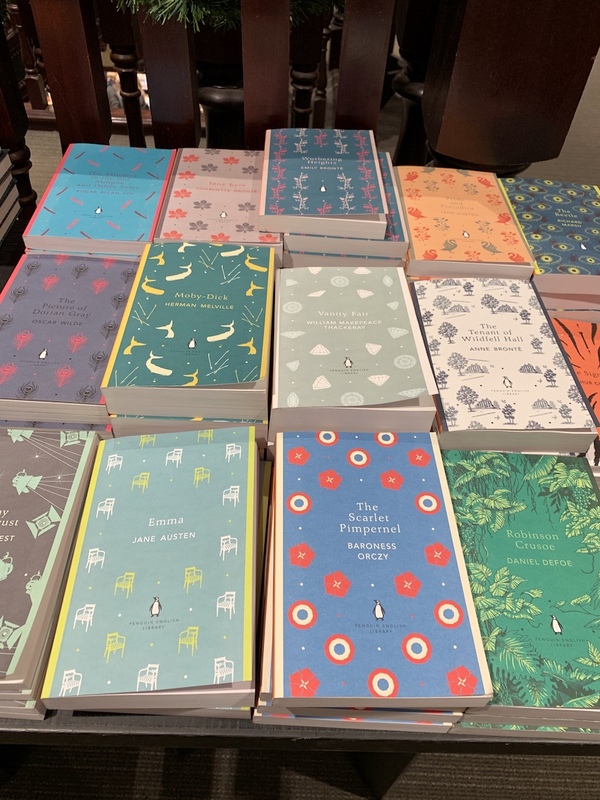 I did some more walking and headed to a few bookstores and browsed the shelves looking for rare Penguin English Library books, which I collect and noticed are only found in European bookstores. 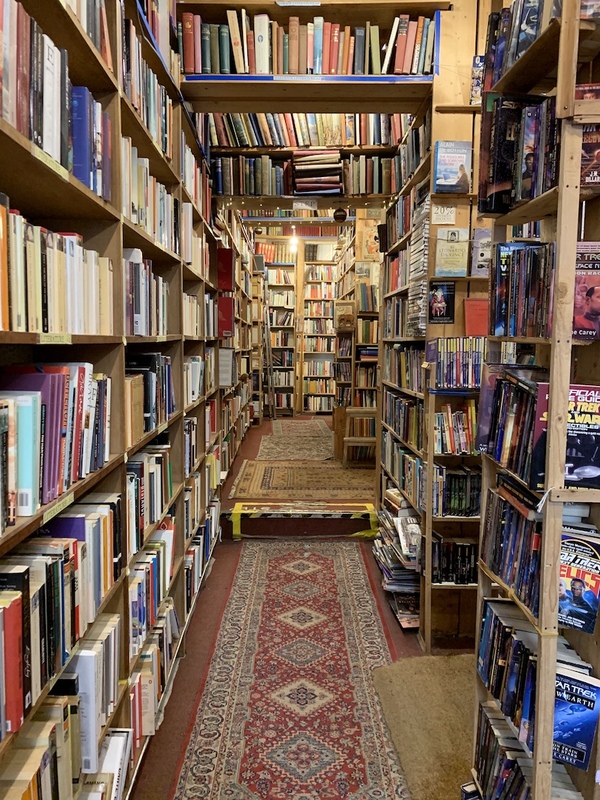 Two used bookstores just down the road from each other and close to Edinburgh Castle are Armchair Books and Edinburgh Books. Afterwards, I walked back to the Radisson Collection Royal Mile and finished checking in. At my room, I rested a little before heading out for dinner. I went for dinner at Dishoom, an Indian restaurant at St Andrew Square. It seemed to be popular among locals. On that Friday night, I had to wait an hour to get a table. It started drizzling so I had a drink at their bar on the lower level, before getting a table on the second floor. 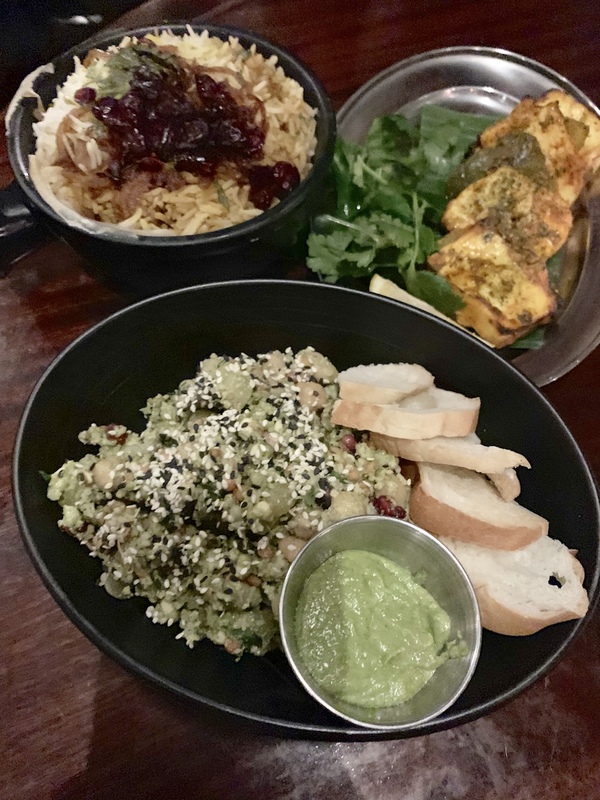 Below isn’t the greatest picture ever, but it’s Dishoom’s Mattar Paneer, Chicken Berry Britannia Biryani and their Chana Chaat Salad. 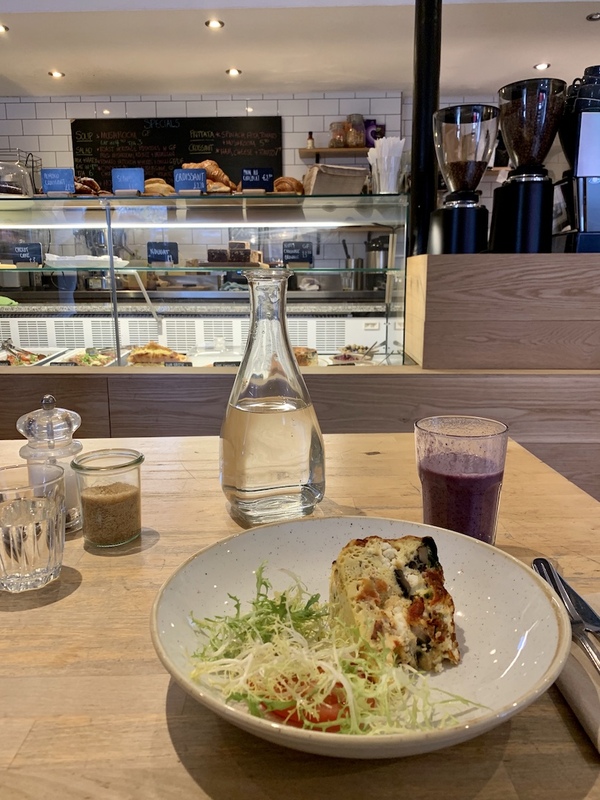 It was one of the best meals I’ve had in Edinburgh, and I was planning on going back for breakfast (they have a chocolate chai tea!!) but just didn’t have time… next time. 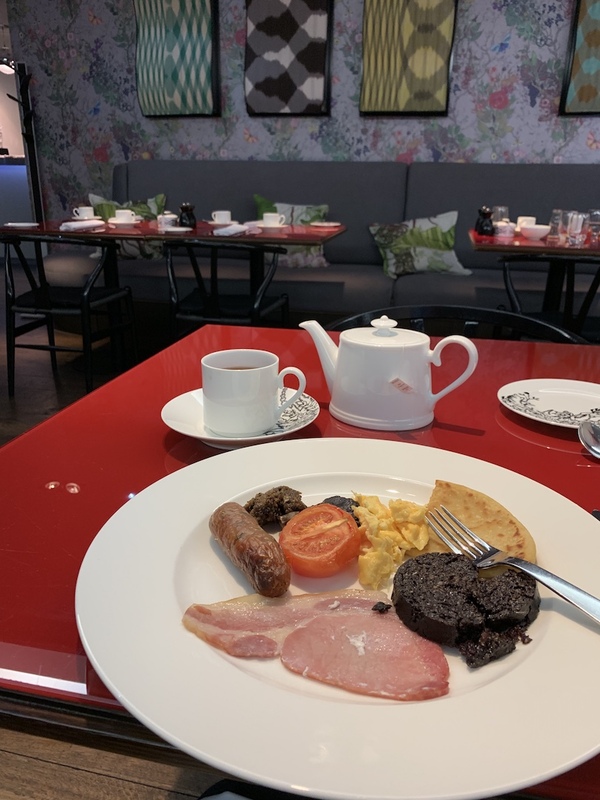 The next day, I had breakfast at the hotel… a full Scottish breakfast, which I was very much looking forward to. 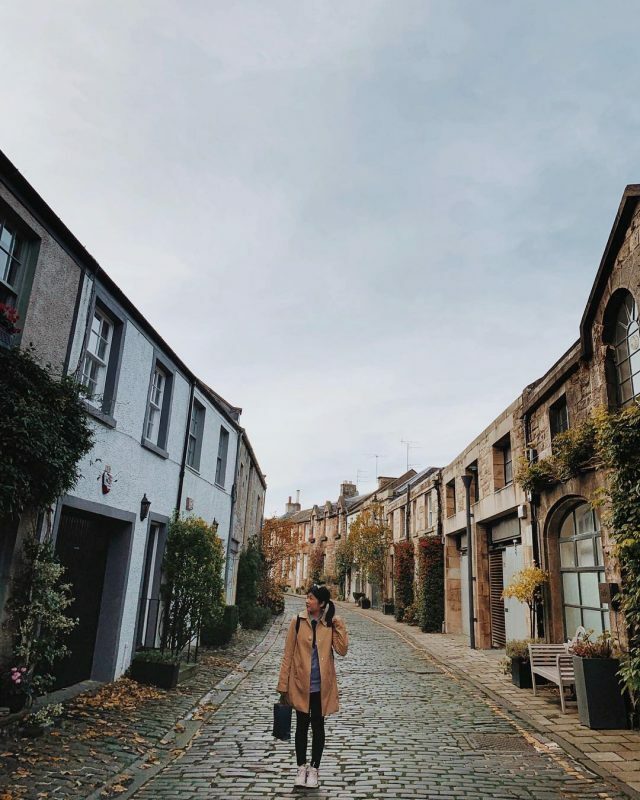 I took this day to explore a few photogenic places I’ve seen all over Instagram.This was all in the Stockbridge area of Edinburgh. 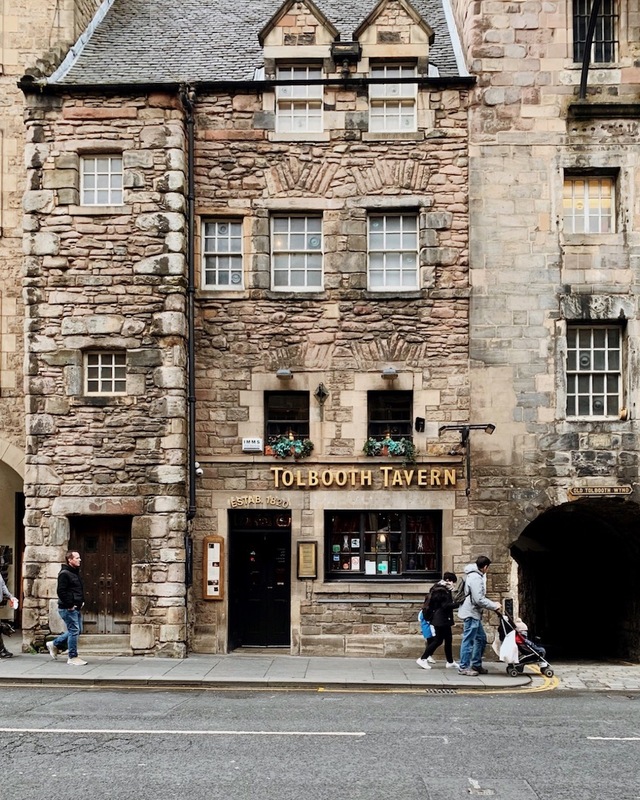 It’s about a mile away from the Radisson Collection Royal Mile. One of the streets you have to visit is Circus Lane. It’s a a residential street and I’m sure its residents are tired of having people take pictures outside their homes… but I just couldn’t help it! 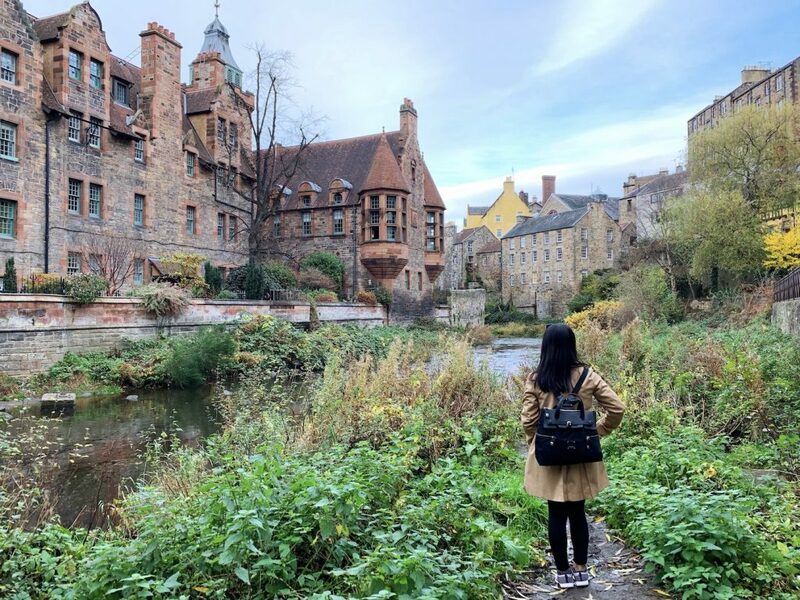 Walking along the Water of Leith, I walked over to Dean Village… another very photogenic area. I walked around all the buildings and admired the views. 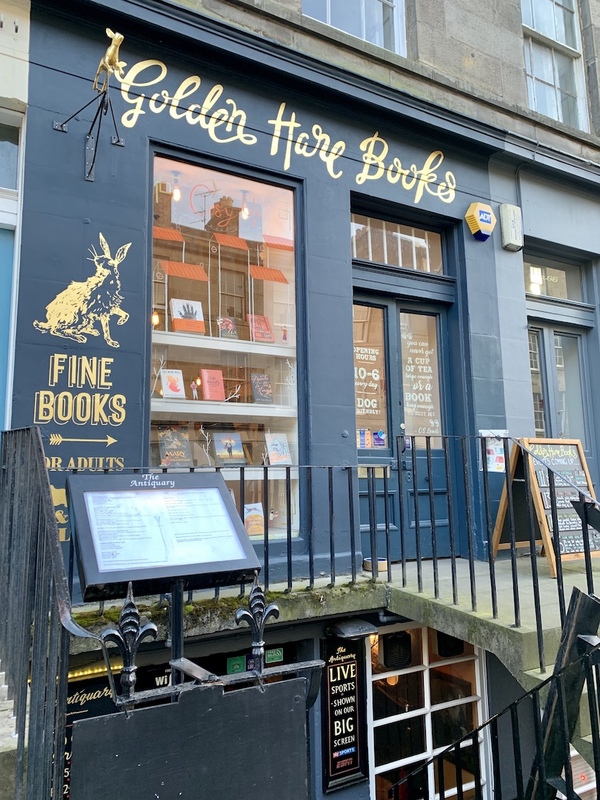 On my quest to find Penguin English Library books for my collection, I came across Golden Hare Books in Stockbridge. I scanned their entire collection of books for a Penguin English Library edition, and was delighted to find a copy of The Garden Party. After all that walking, I needed an afternoon pick me up. 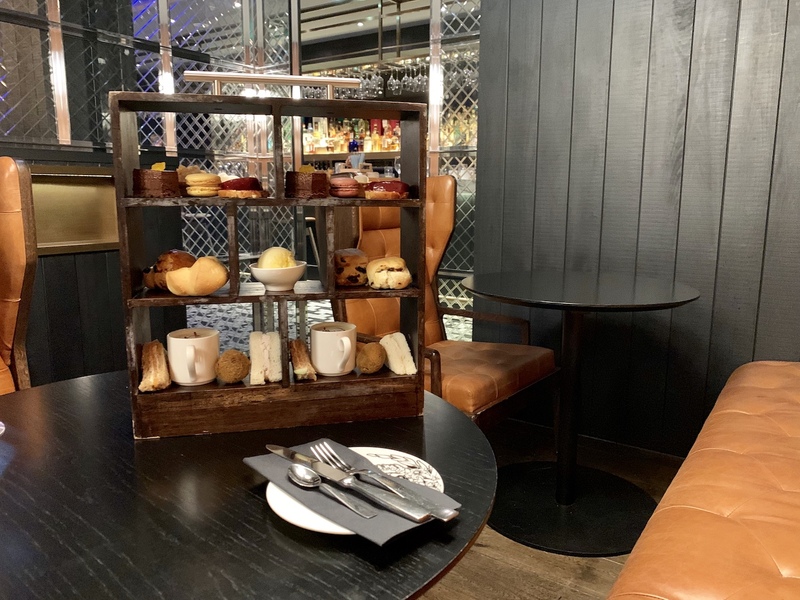 So I went for afternoon tea at the Waldorf Astoria Edinburgh – The Caledonian. 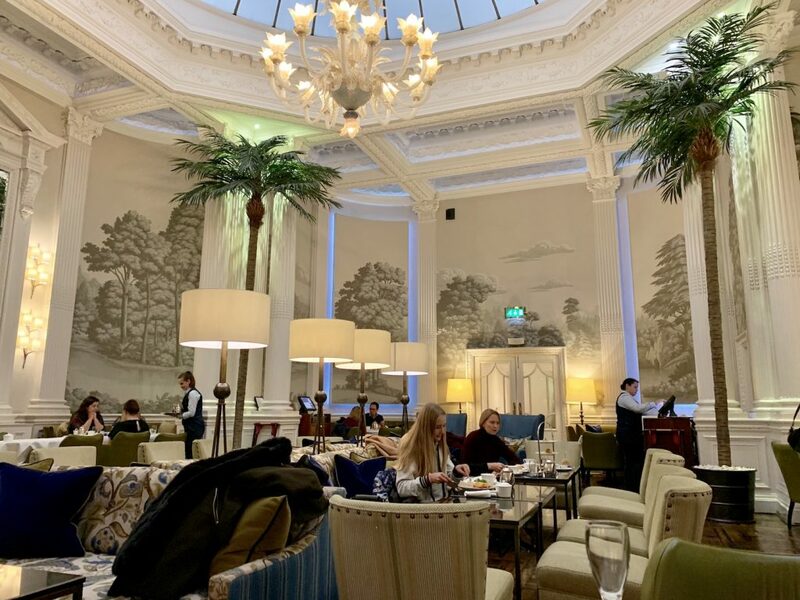 You can read a full review of afternoon tea at the Waldorf Astoria Edinburgh here. 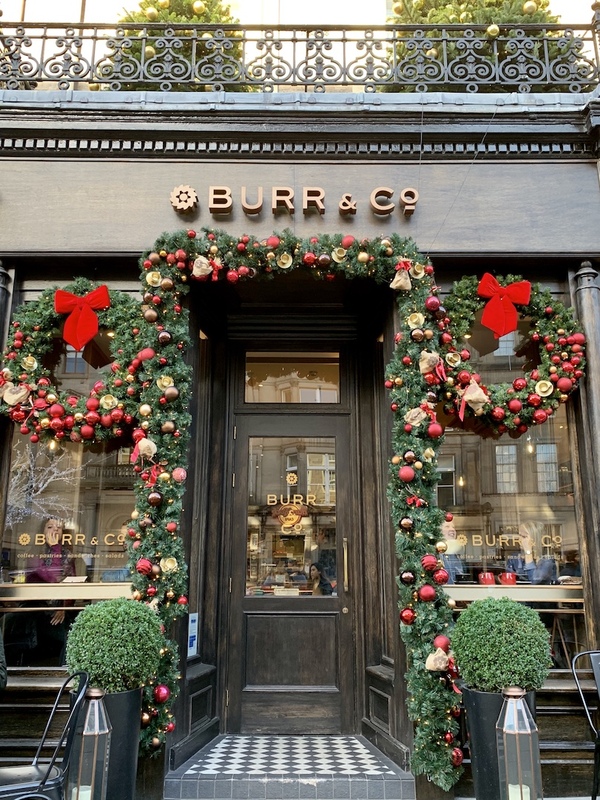 The next day, I had breakfast at the hotel again, but can also recommend heading over to Burr & Co. They were already decked with Christmas decor in early November. It was a Sunday morning and I walk along the Royal Mile. And also had afternoon tea at the Signet Library. 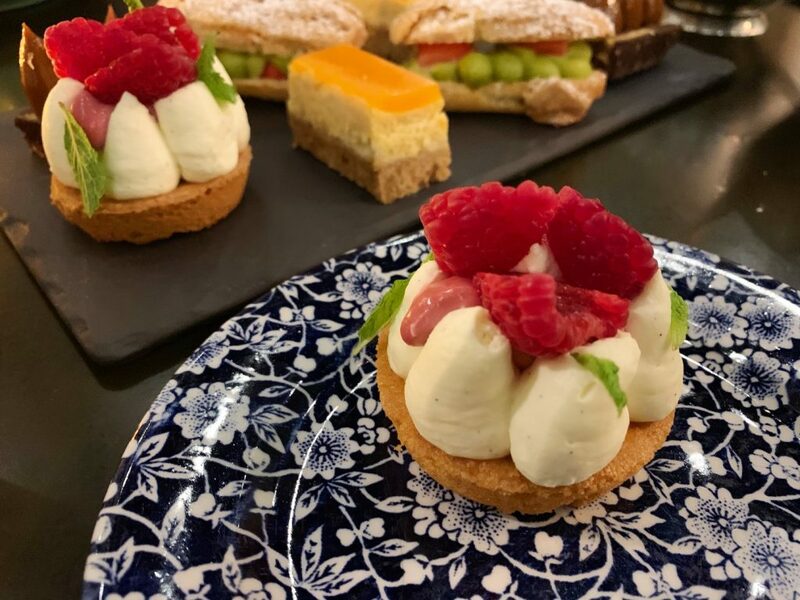 You can read a full review of afternoon tea at the Signet Library here. 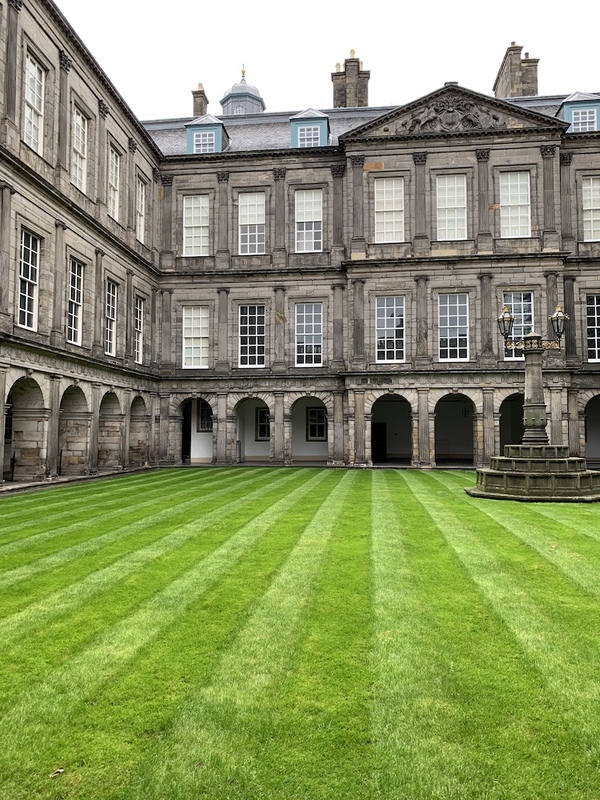 I walked off the afternoon tea by going to Holyrood Palace, the official residence of the Queen. I went on my first trip, but really enjoy the history and historic homes. Plus, this time the gardens were open so I walked along the paths to admire perfectly manicured lawns and the autumn foliage. 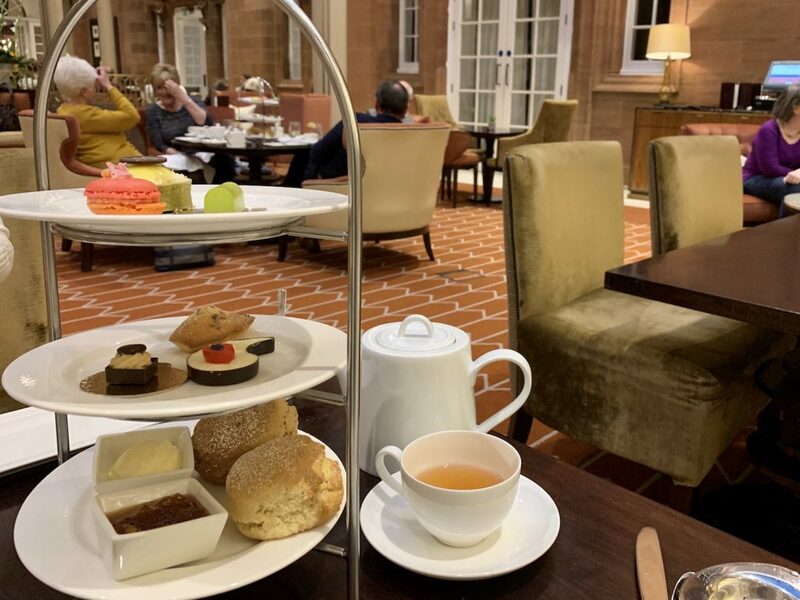 I did another afternoon tea at the Radisson Collection because the opportunity came up. 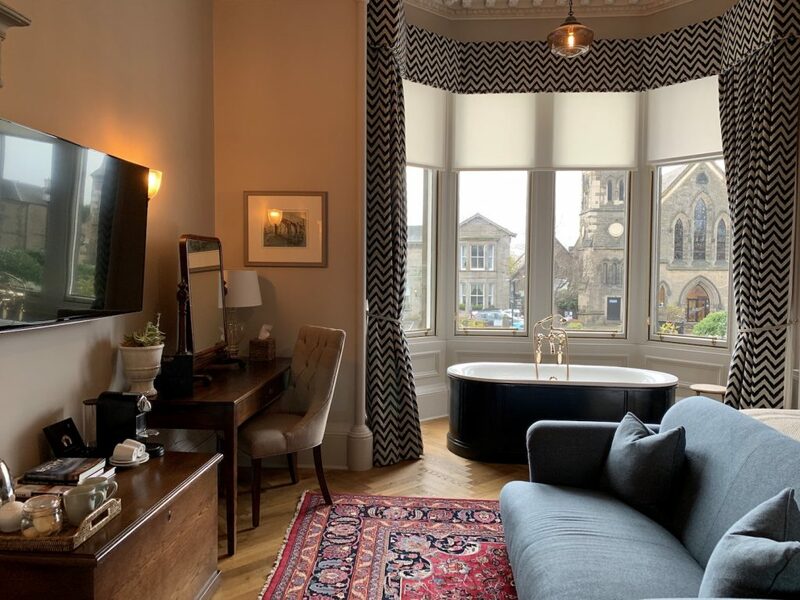 As I side note, I still recommend staying at The Principal Edinburgh George Street for it’s location. 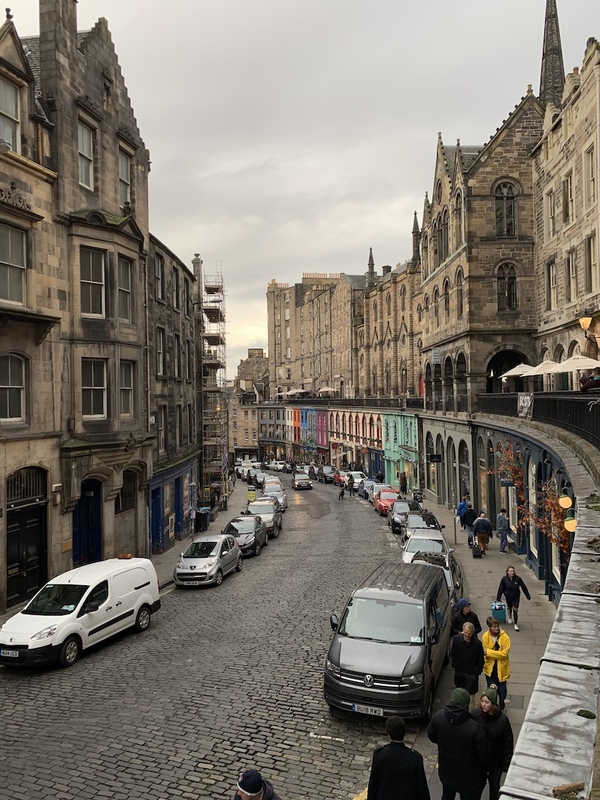 It’s not too close to the craziness of the Royal Mile but also not too far away that you feel isolated. 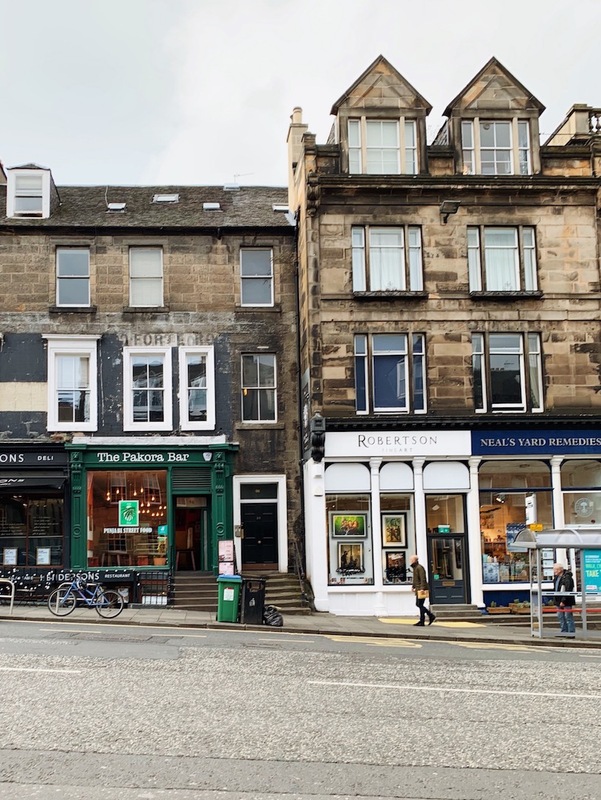 The next day, I decided to walk along Princes Street, where you’ll find several shops, including international brands, souvenir shops and my favorite – Waterstones. I picked up a Penguin English Library copy of Treasure Island because I needed it for my collection and Robert Louis Stevenson was born in Edinburgh. I also walked farther down Princes Street over to the West End to check out its architecture. 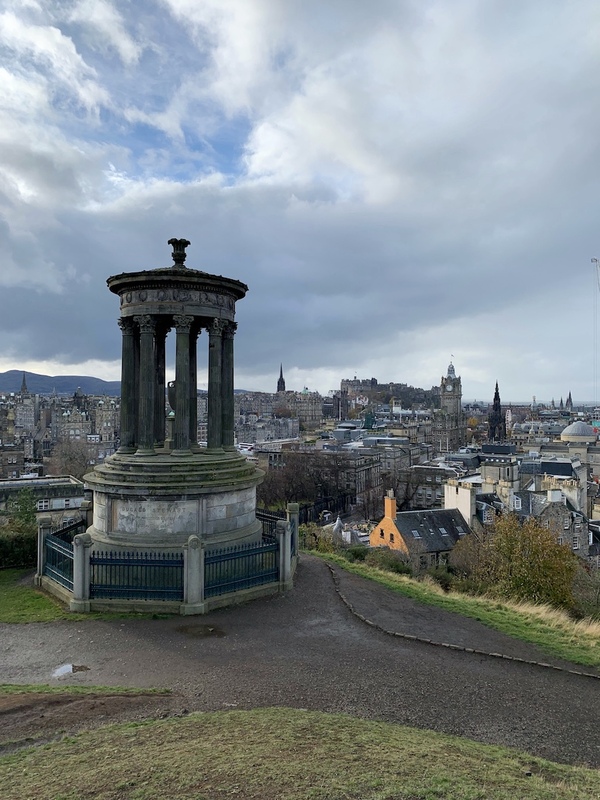 Later, I walked to Calton Hill for skyline views of Edinburgh. 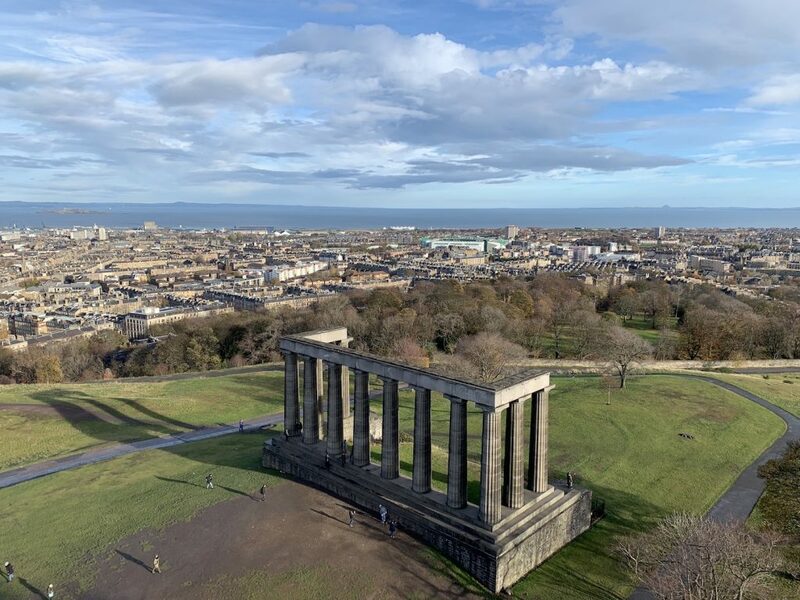 I recommend going up Nelson Monument. 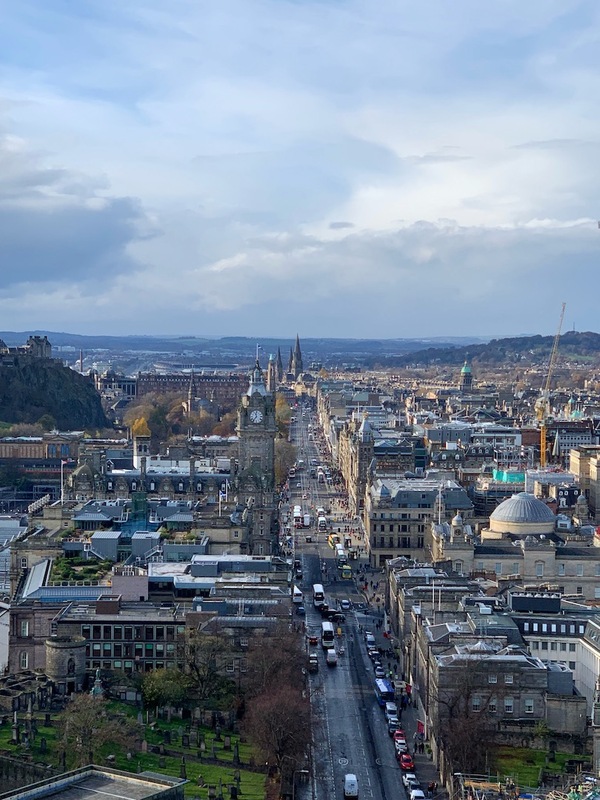 It costs £5 to access the stairs (over 100 steps) to go up to the top of the monument for views, including looking down Princes Street. 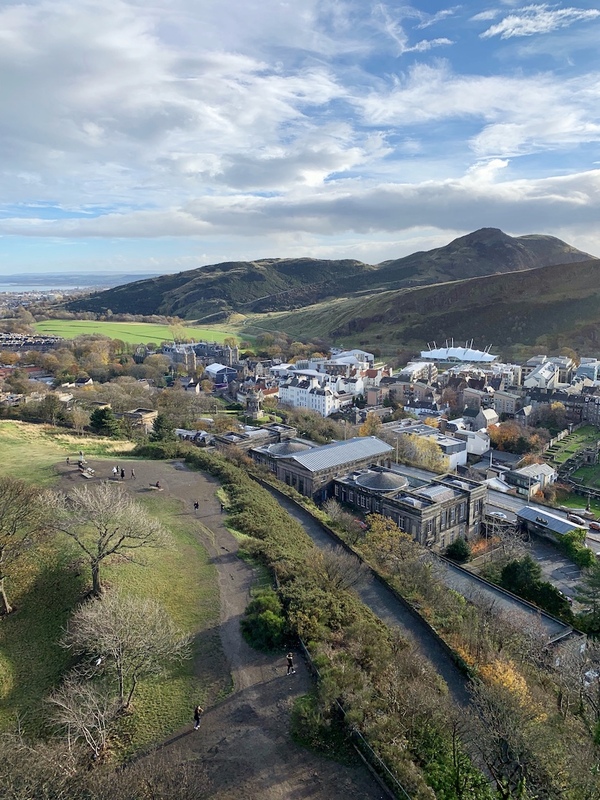 You can also see Holyrood Palace and Arthur’s Seat. And also the columns of the National Monument of Scotland. Later in the afternoon, I went to The Balmoral for afternoon tea. You can read the full review of afternoon tea at The Balmoral here. Afterwards, I got to hang out with some local friends at the Omni Centre. It seemed like a place only locals went to, with a movie theater on top and several dining options on the first floor. 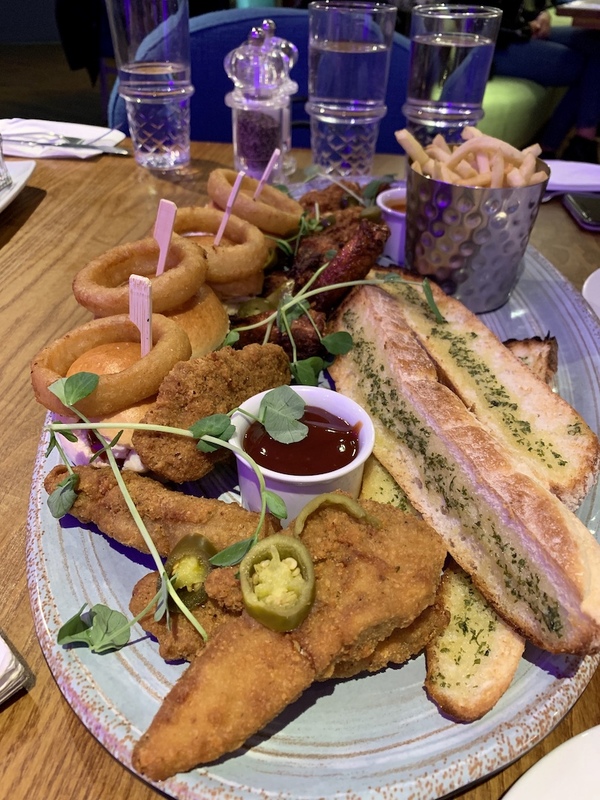 We chose Slug & Lettuce and turns out they have 50% off on Monday evenings. 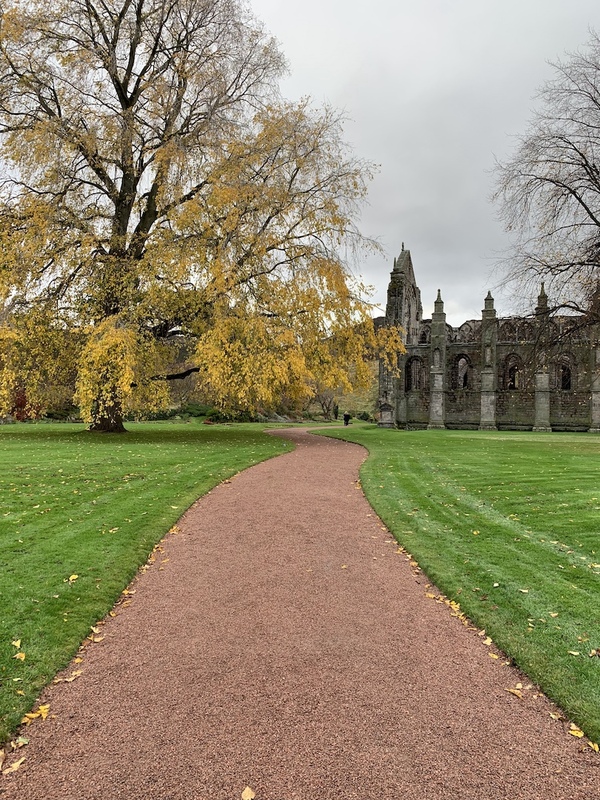 In the morning I planned on going for a run in Holyrood Park… but turns out in the morning I felt sick… I think it was something I ate… but either way, I still made myself get out and walk around. I took it really easy and just walk to the Edinburgh Castle, then to the Scotch Whisky Experience. I didn’t know much about whisky prior, but by the end of the tour I felt I had some knowledge. The tour starts with a slow ride in a barrel, taking you through a video presentation about how whisky is made. Then a live guide walks you through the different types of whisky that is made from various regions around Scotland. And you can pick a whisky to taste. 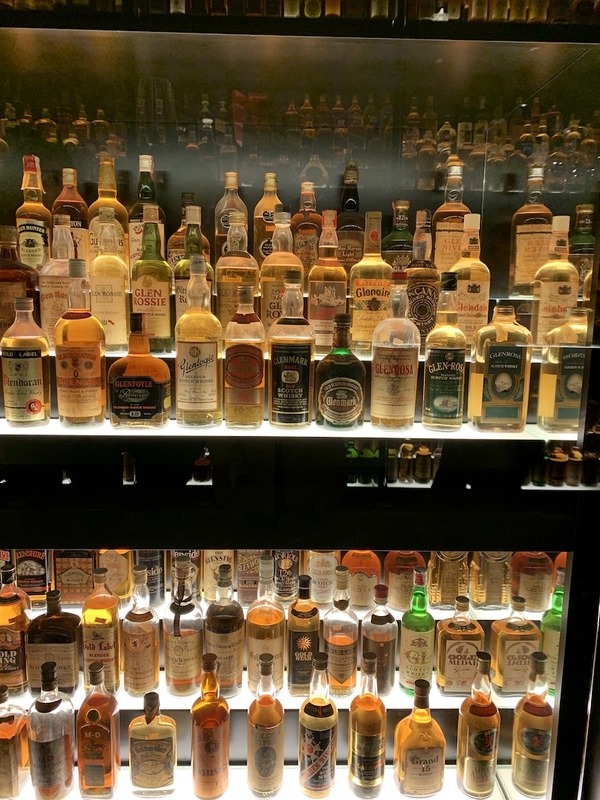 At the end of the tour, you’ll taste the whisky in a special room displaying the world’s largest collection of whisky. 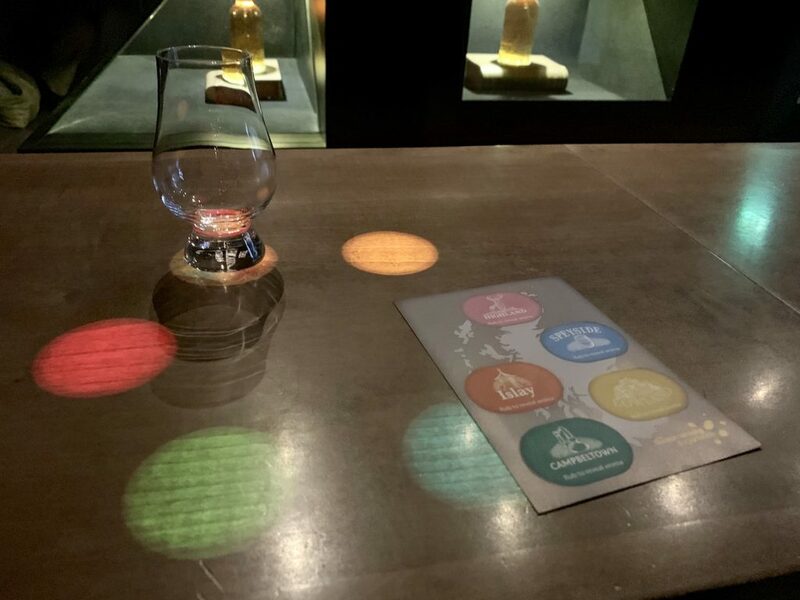 For various tour options and pricing, check the Scotch Whisky Experience’s website. In the evening, I went for a special afternoon tea that’s more like a dinner afternoon tea. You can read a full review of Twilight Tea at the Garden here. 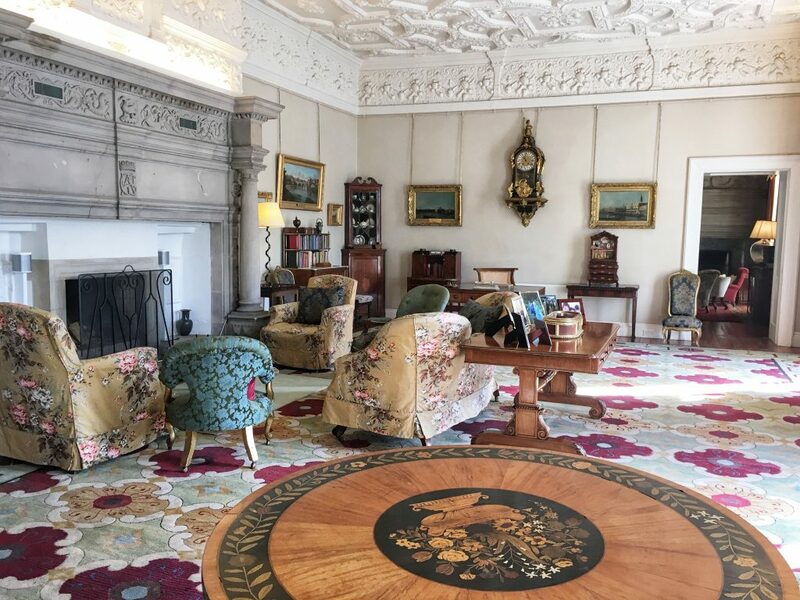 Alternatively, if you’re not feeling sick and want to explore outside of Edinburgh, you can also go to Winton Castle which is less than an hour away, like I did on my first visit. Or, you can also consider a day trip to check out Glasgow. On my final day, I needed to purchase a few souvenirs. 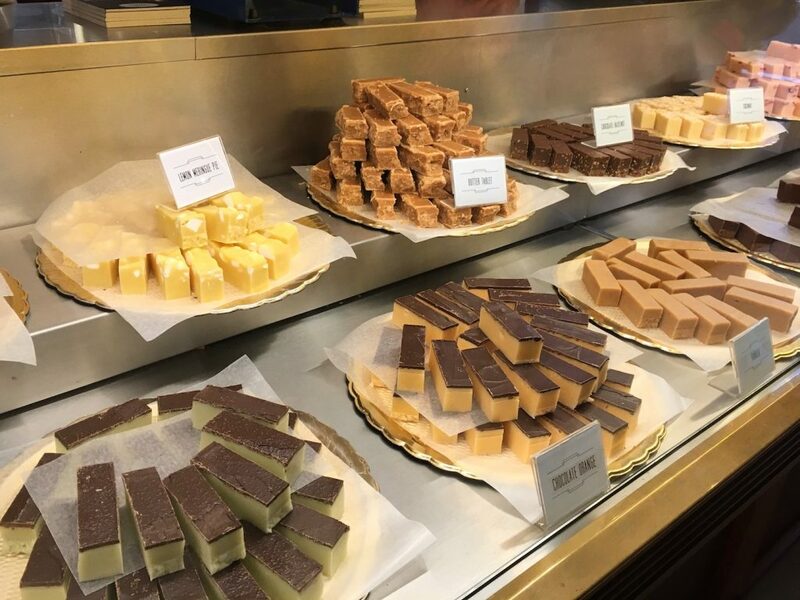 I went to the Fudge House on the Royal Mile to bring back my favorite Scottish treat, tablet. I also started Christmas shopping early at Walker Slater on Victoria Street. 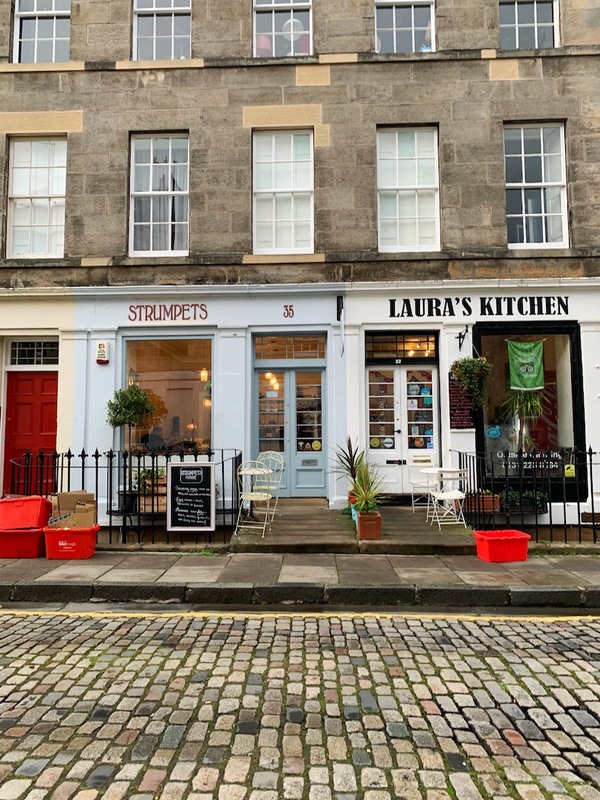 They have two shops on Victoria Street – one for men’s clothing and another for women. 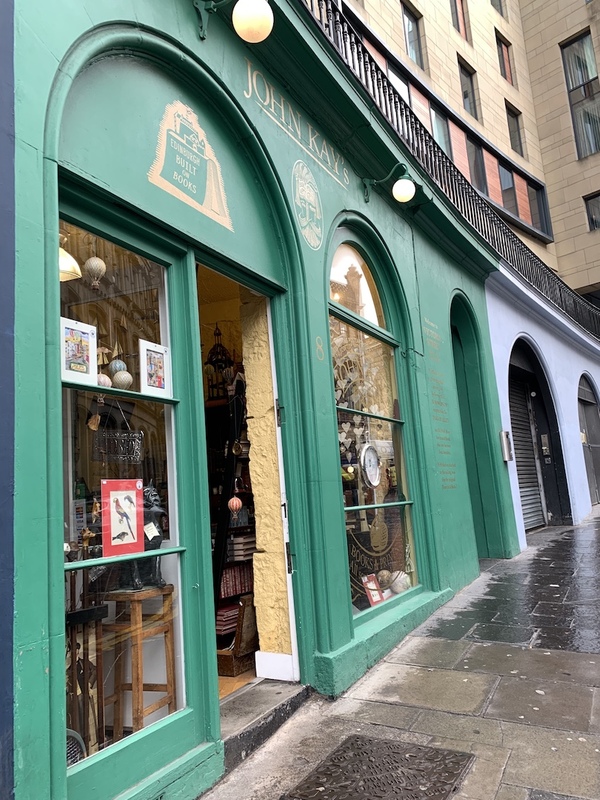 Coming across John Kay’s book shop on Victoria Street, I took a peak inside… and ended up buying another Penguin English Library book, The Sign of Four by Arthur Conan Doyle, who was also from Edinburgh. And lastly, I stopped by Crowdie & Cranachan shop to pick up a food related gift, whisky salt. 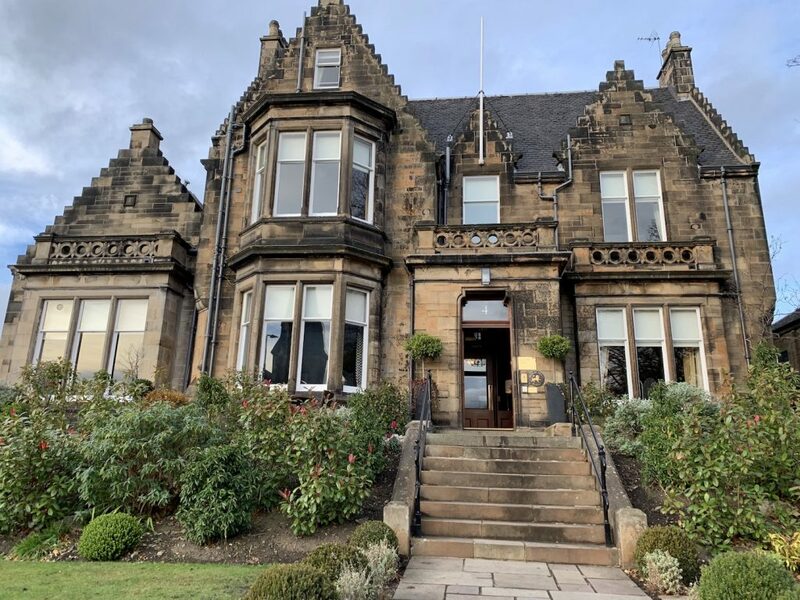 That was all early in the morning, as I had planned to have as much time as possible at The Dunstane Houses, where I was spending my final night in Edinburgh. After settling into my room, I wanted to explore what was around the hotel. 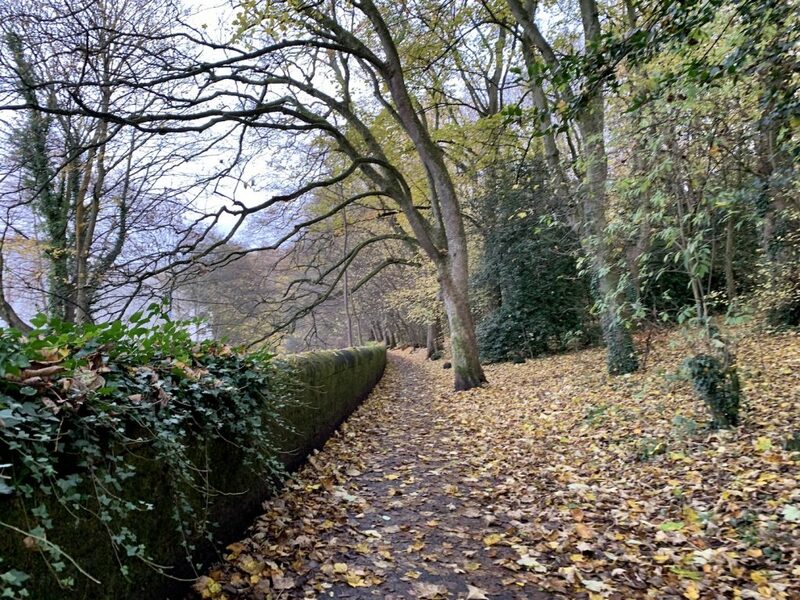 Just a few steps at the back of the hotel, behind some residential homes, I walked on a quiet pathway over to Dean Village. 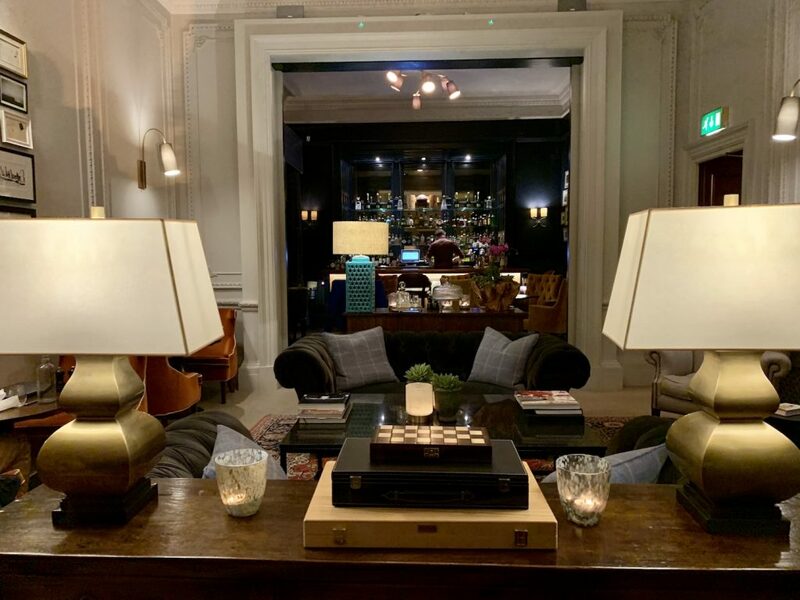 And in the evening, I enjoyed a relaxing dinner in the hotel’s dining room, which was so cozy and felt like being in my own living room. 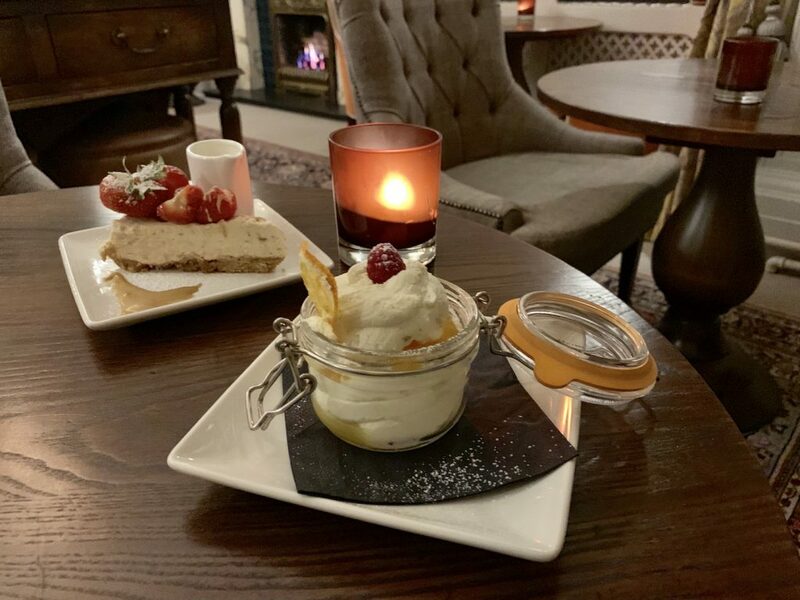 For dessert, I had cranachan, a Scottish dessert cream and fresh fruit. After a relaxing night at The Dunstane Houses, I headed to the Edinburgh Airport for my early afternoon flight back home. During this trip I spent a lot of time walking, visiting a few of the attractions that I didn’t get to last time I was in the city, and doing a lot of catching up with my cousin who I was visiting. Even though I feel like I saw everything I wanted to, I still feel an urge to go again.